Ding Tea brings new meaning to drink tea in Batam. Not just enjoyed but has many benefits. Not only that, Ding Tea offers a taste of the original tea, without preservatives. Products are offered different teas with tea being sold in the market that the original tea leaves are boiled. So that the original tea flavor emerges. Ding Tea offers five kinds of teas such as black tea, green tea is a classic, jasmine green tea, Oolong tea, Puer tea. 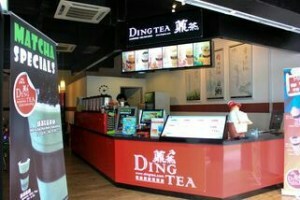 Ding Tea introduced its latest variants of the drink. Namely Top Milk Tea, Top Fruity, and Jinsuan tea. The variant will spoil your appetite. One of these variants is Jinsuan tea, jasmine tea taste like. You will certainly love it.